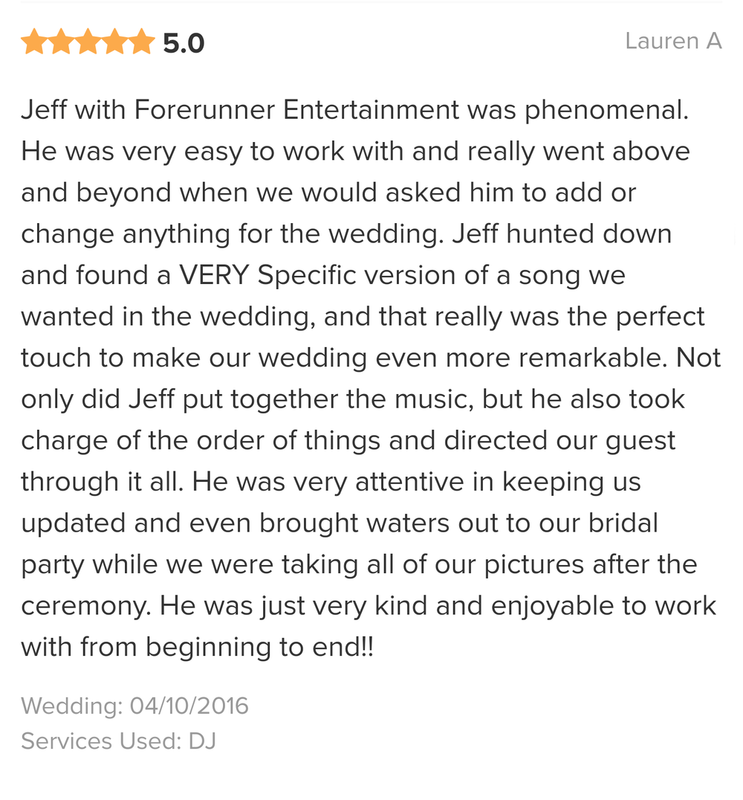 Our award winning DJ team brings your true vision to life. From the mic check to the grand exit, & everything in between. 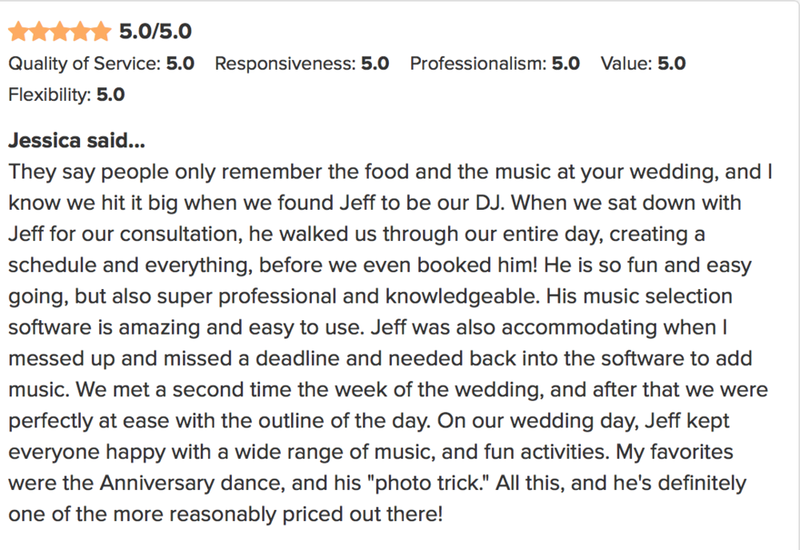 We sit down with you long before your wedding, corporate event, or private party to plan out the entire day to reflect the perfect vision you've always dreamed of. 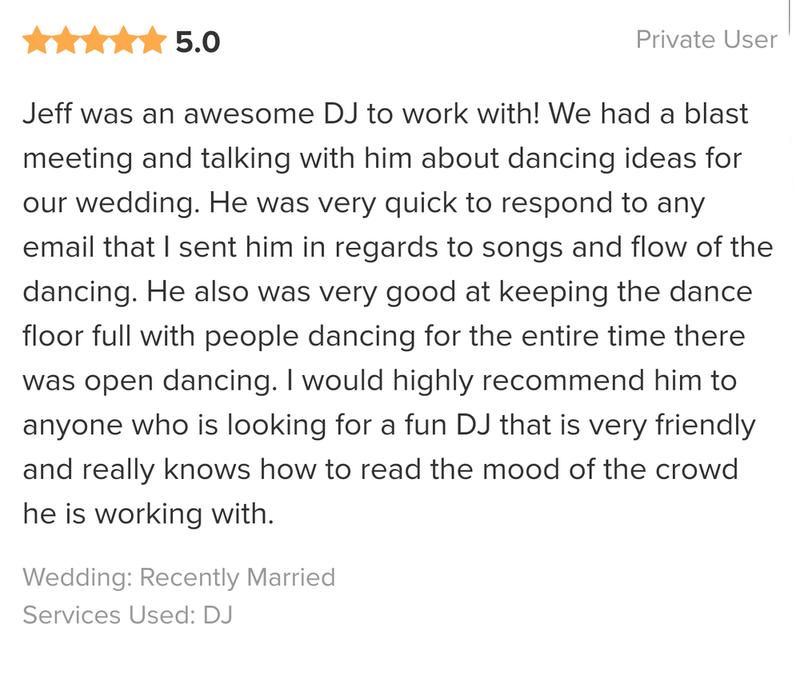 Then on your big day, we take the wheel and steer with our awesome Day-Of Coordination skills to keep not only you, but your guests & even other vendors on schedule to run smooth & flawless, just the way you planned it! Our retro modern photo booth is hands down DFW's most unique & beautiful booth! Handcrafted here in the good ole' U-S-of-A, featuring a dual-level DSLR camera encased in rustic wood finishes & brass metalwork atop a spiffy tripod stand. Unlike a boring white box on a stick with spaghetti cords hanging down, our photo booth conceals the printer, all the wires & will actually improve the atmosphere of your big day. Upgrade your event to be absolute eye candy! Our customizable uplighting can be programed to thousands of different color options to match your style flawlessly. Make it even better with one of our truly unique Motion Monograms to add a dash of magic while putting your name up in lights! 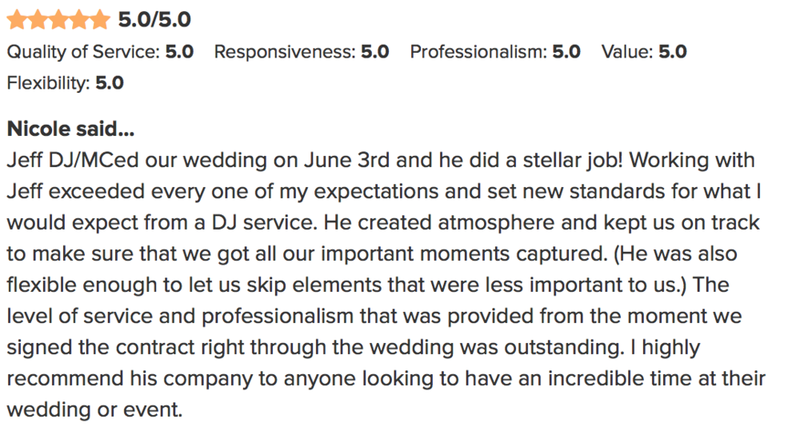 Let our team help create something that everyone will talk about for years to come by transforming any venue to something custom to fit your style and personality! The most beautiful booth in Texas. Let us make a truly unique animated monogram that you will not find anywhere else. Amaze your friends and family as they see your names come to life in this 2018 HD modernized version of the tired and outdated stagnant Gobo you see everywhere else. Our top of the line battery powered wireless uplighting will set the mood and transform your venue into a magical scene straight from a story book! 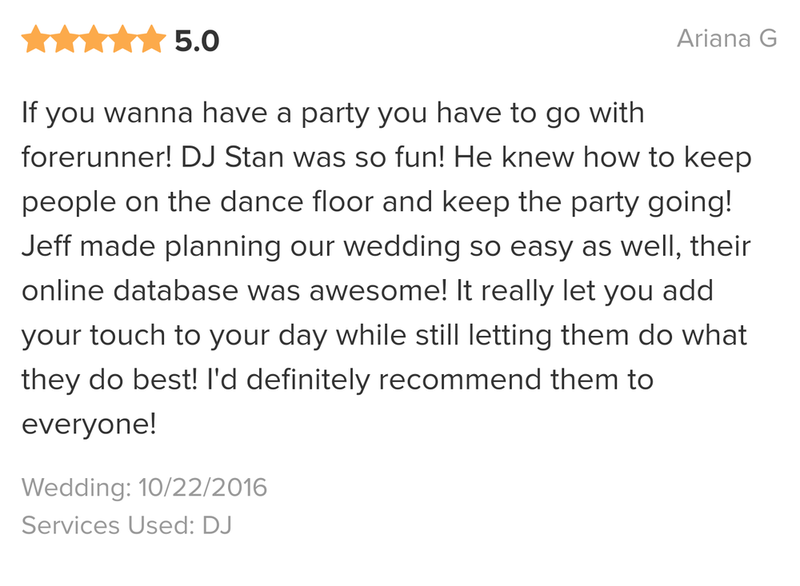 Let us choose the perfect color to accent your decor and wedding colors to make even the most beautiful of venues feel made just for you. Want to change the colors after dinner to set the mood for open dancing? With our lights, you can! At the push of a button, all of our lights will change simultaneously to signify the party has officially been taken to that next level! 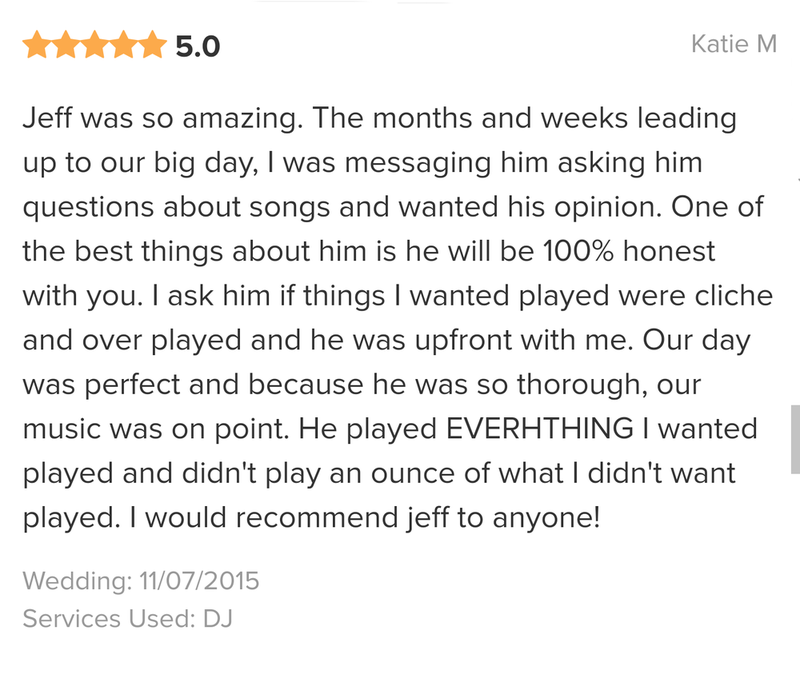 Take a look at all the awesome awards we’ve received for our mobile DJ service in DFW! 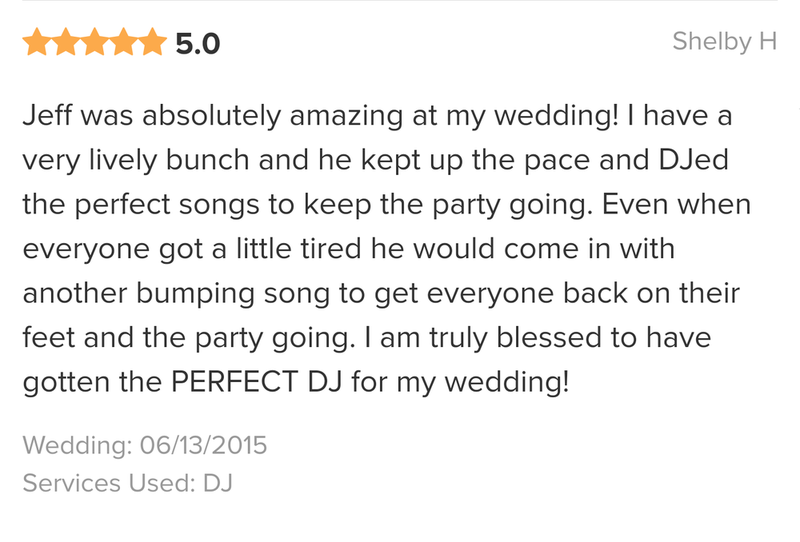 If a picture is worth a thousand words, we just wrote the book on wedding DJs! 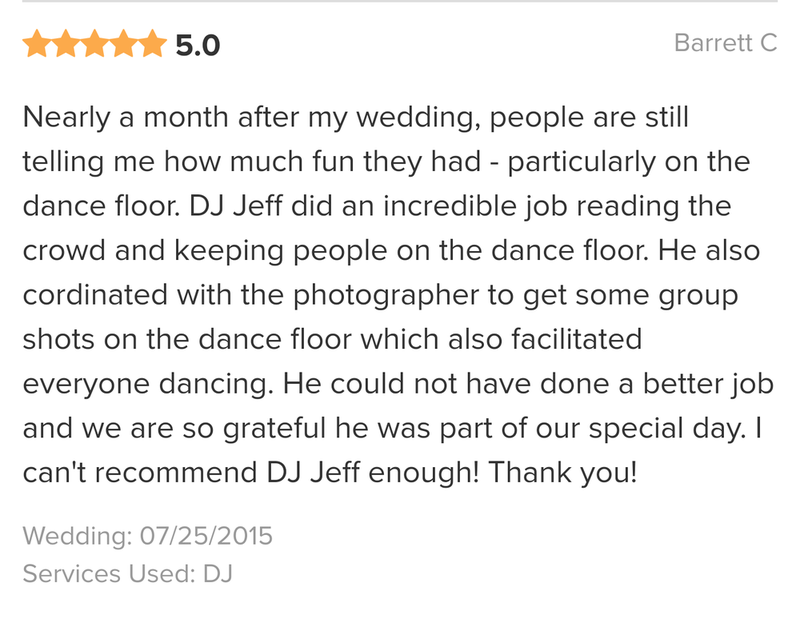 Take a look at all our wedding DJ Photos all across the metroplex. 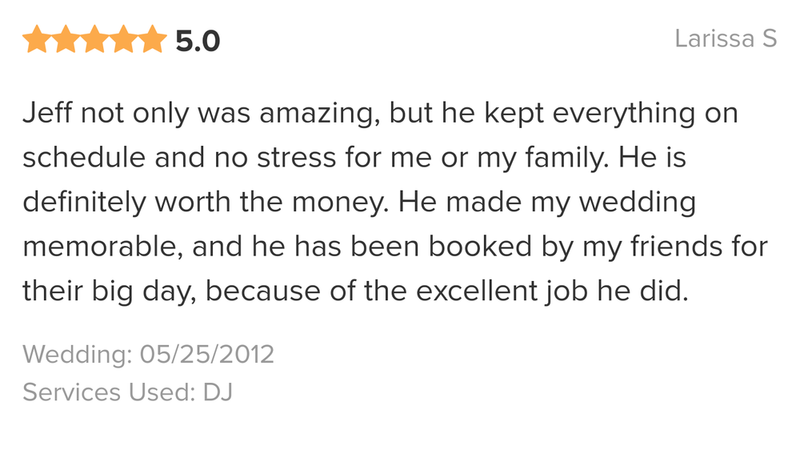 If you couldn't tell...we love our clients. To see even more, check out our Instagram!